Toast and Tables: Going, Going, GOWN! By the time the ring's on your finger, the date's set, and you're shopping for “The Dress”; I’m sure he loves you just the way you are, right? So I’m not blaming Chip for my weight loss frenzy; but from the moment he popped the question, my thoughts went to "The Dress" and the fact that I refuse to buy one until I get down to my “idea size”. Like many brides-to-be in New York City, I’ve signed up for the “Brides Boot camp class" at New York Sports and hired a trainer. During this time, exercising regularly is never easy but eating right is even harder. 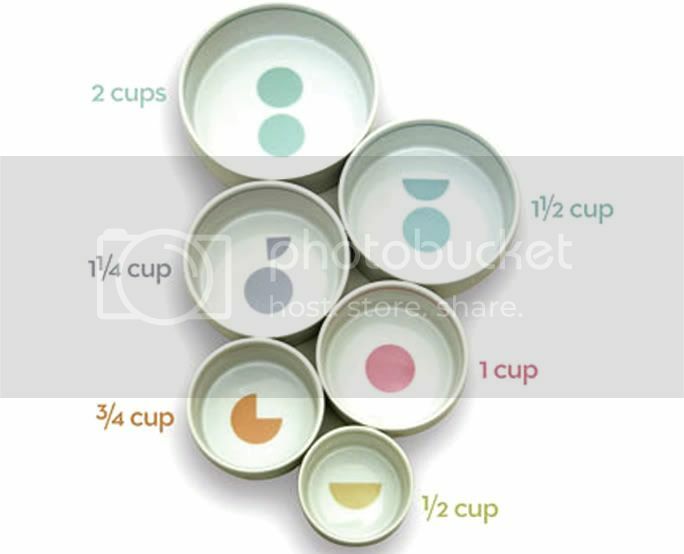 That’s why I’m loving the set of Mesu bowls - six porcelain bowls, each marked with a symbol indicating the quantity of food it can hold so you can finally measure your portions. 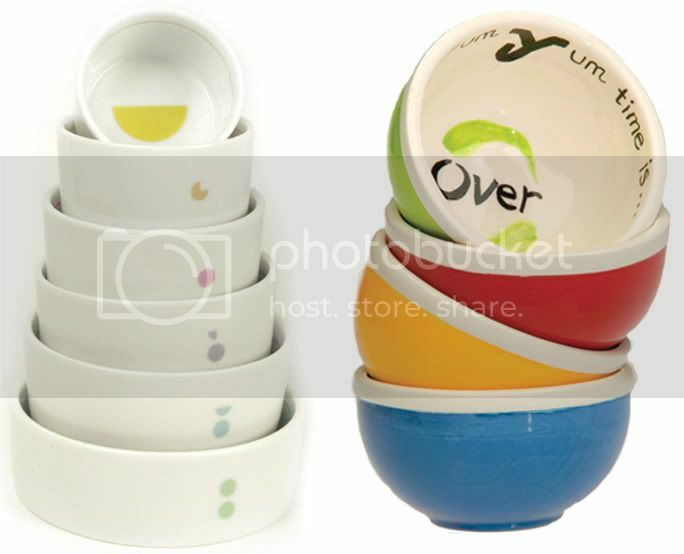 I also think the Yum Yum dishes are great as well. So rather than popping pills, trying starvation diets and over exercising I think the best thing to do is learn about food choices and portion control to aid me in my beautiful-body quest. Before you know it the pounds will be going, going, gone! 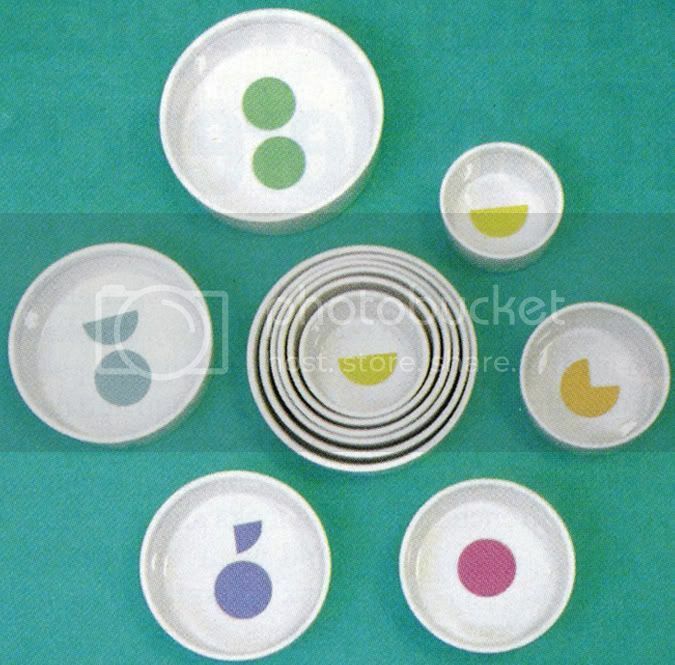 I need those bowls! You'll look beautiful!!!!!! I forgot to mention that Jennifer Panepinto was both a visual arts graduate student and a dieting "BRIDE TO BE" when she found she didn't have time to measure food portions. She thought there had to be a better way and wa-lah! Of course...only a BRIDE could create something so fabulous (smile). brillant. why am i all of a sudden starving? I need these. Although I am not a bride, I am a new mom with baby fat to lose and this would be very helpful.